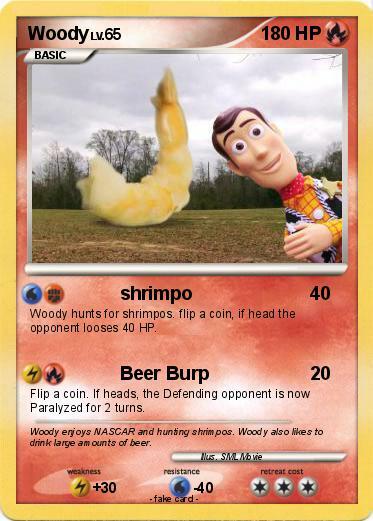 Woody hunts for shrimpos. flip a coin, if head the opponent looses 40 HP. Flip a coin. If heads, the Defending opponent is now Paralyzed for 2 turns. Comments : Woody enjoys NASCAR and hunting shrimpos. Woody also likes to drink large amounts of beer.